Think back to January 5th, 2010. That was the date that the Nexus One was first announced and made available for purchase. I can vividly remember the announcement. I impatiently waited for someone to review the device, but the images I saw already confirmed my suspicions: this was going to be an incredible device. Even though it wasn’t on Verizon yet, I had plans to upgrade to it as soon as possible. This vision of the Nexus One was a phone sold directly by Google to consumers. There was no store to try the device out. You went to google.com/phone to purchase the phone. If you had T-Mobile you could buy the phone unlocked for $529 or $179 on a new two year contract. 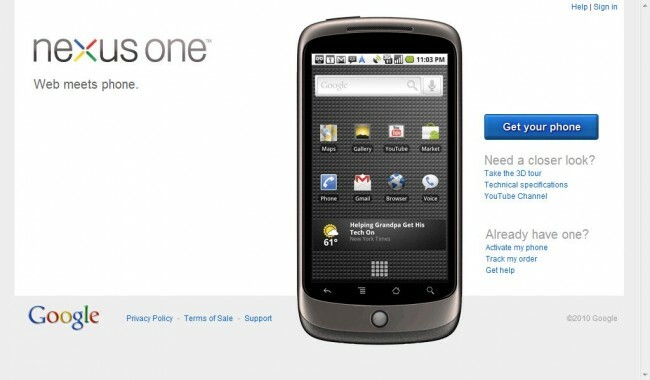 Eventually a version of the Nexus One with AT&T bands was released in March. By April it was announced that the Nexus One would never be released on Verizon and that customers should buy the Droid Incredible instead. I was crushed, but I moved on (and eventually did get a Droid Incredible, which now sits on my desk running CM7). Now think back to December 16th, 2010 when the Nexus S was released. There were no announcements of additional carriers until March 21st, when Google announced that the Nexus S would be available on Sprint with WiMax. On July 21st it was announced that the Nexus S would be available on AT&T for $99 on contract. With a Sprint version I was especially hopeful that Verizon would finally have a Nexus device, but alas, Verizon never released the Nexus S.
In the time between the Nexus One and the Nexus S Google learned a lot about selling phones. First, they learned that having email support is not enough. The Nexus One was plagued with radio issues early on and customers were upset that their only option was to email Google or post on a message board for help. 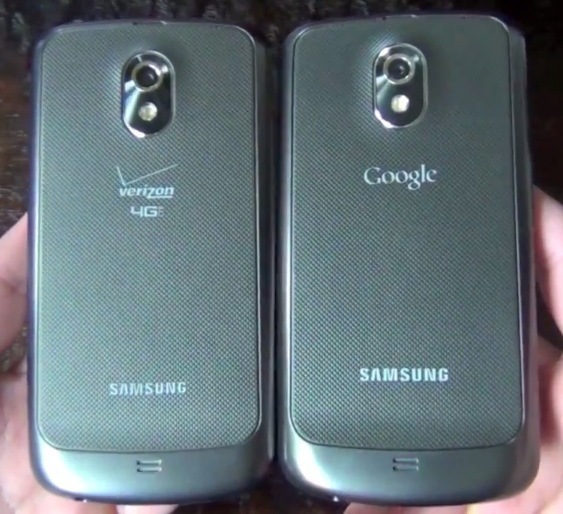 With the Nexus S, Google worked closely with the carriers to ensure that they would help support the devices. While AT&T and T-Mobile didn’t carry the device in stores, Best Buy had both versions in stores as well as the Sprint version when it was released. Google’s original vision of the Nexus program has changed dramatically over the last two years, and I don’t think it has been for the better. Google has slowly gotten in bed with the carriers, which has led to the worst Nexus we’ve seen yet. Sure, it has the latest version of Android (which is fantastic) and it’s on my carrier of choice (finally! ), but at what cost? The original vision entailed releasing a device free from the carriers that people could buy subsidized or unsubsidized with the latest version of Android and the first crack at new updates. Instead of using their power to push carriers like Verizon to do no evil, Google has gotten into bed with Verizon, allowing them to further distort their original Nexus vision. It may be said that it’s impossible to get on a carrier’s network without making concessions, but apparently Apple was able to pull it off. If Apple can do it, Google definitely can. Google has tons of money – why not spend it to ensure the largest carrier in the U.S. has a real Nexus device, not some Verizon branded step-child of a Nexus? Google needs the carriers for support right now, I get that, but when their acquisition of Motorola is complete they’ll have a staff that is trained to support users with their devices. By then they’ll also have a few billion more dollars in search revenue that they can use to throw at the carriers to ensure that their device isn’t touched. Verizon has way too much control right now. A Nexus should never be controlled by a carrier. A Nexus is supposed to be the best from Google, not the best that Verizon will allow on their network. Google has challenged the music industry with Google Music. They challenged Microsoft Office with Google Docs and Gmail. They challenged Apple’s iPhone with Android. They challenged netbook manufacturers with Chromebooks. They challenged the movie industry with YouTube. Why isn’t Google challenging the carriers? They have the power to do so, but they’re holding back. They should have the Nexus in 5 colors on every carrier right now, but instead they have a tainted Nexus on the greediest carrier in the world. Something is wrong with this picture. We obviously don’t have all the details, but something needs to change. Google needs to step up to the carriers and take control of their device. If Verizon doesn’t want to play nice, Google can start rejecting any Android device with Google Apps that wants to run on Verizon’s network. Verizon needs Android to be relevant, not the other way around.